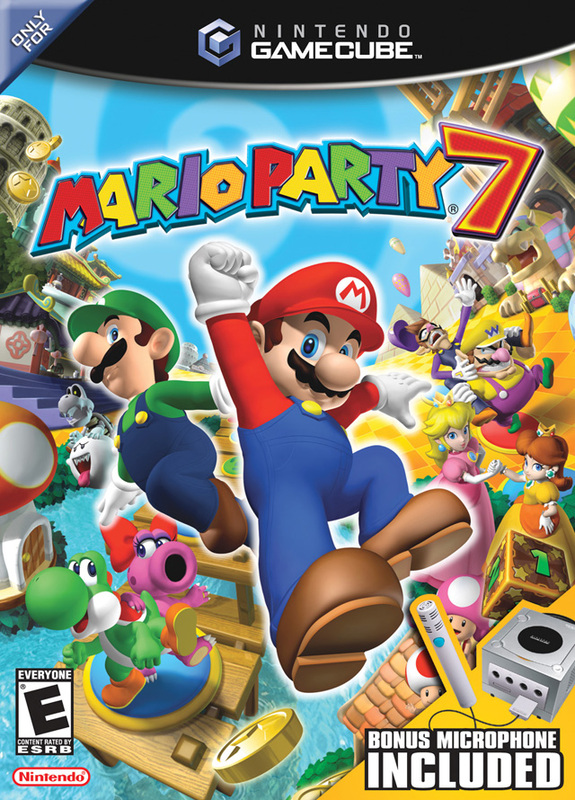 Mario Party 7 brings back the party fun, as you kickstart the party with Mario and his friends! Mario and pals needed some time off, but they forgot to invite Bowser on their cruise. set up your controllers and prepare for fun, as you run, jump, swim and fly through more than 80 new minigames. The party's a lot bigger now, too -- up to 8 players can battle each other! Does NOT include microphone. It came in amazing condition. It works fine. I'm happy with the purchase. This game brings back so much, and for it to work means everything to me. Thank you Lukie Games! I ordered the complete version (package, booklet, and all) and was very surprised with how fast the game was shipped and how fast it got to me. It works perfectly, and I'm reliving the memories of playing with my best friends when I was a kid. It's really an invaluable service Lukie Games is providing, and I am blown away by the efficiency of their staff. Keep doing what you're doing, you just got a customer for life. Kids love it, easy to play and works great. Very happy to finally find this game. Kids asked for it for 3 yrs. Luckie Game has been my go-to place for my growing vintage game collection :D I love it, and like all of my other purchases this one came in excellent condition, complete with everything inside and no scratches on the disc. I'm very pleased. I played the game with a friend and everything worked perfectly. It did NOT come with a microphone- and I had to buy it online elsewhere, but everything else was great. I kind of expected it to not come with one, but I hoped. Still- great purchase! Great buy! Great price! Fun game! Bought the Mario Party 7 game. It's so much fun. Got it for my 11 year old daughter who loves playing games. She was on it all night for a week for the summer. 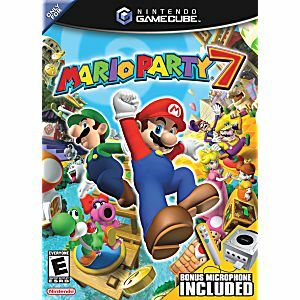 Can't blame her for that, she and her sisters loved playing Mario Party 5, but then they broke the cd so that's why I got this 7. I would totally recommend this company. The first time I ordered, I had to cancel it because of shipping issues, I didn't wanna wait longer. So I called and the man that helped me was very helpful and he refunded me right away. So I then reordered the game and it was shipped in 3 days. Thank you!! We all enjoy playing Mario Party 7.